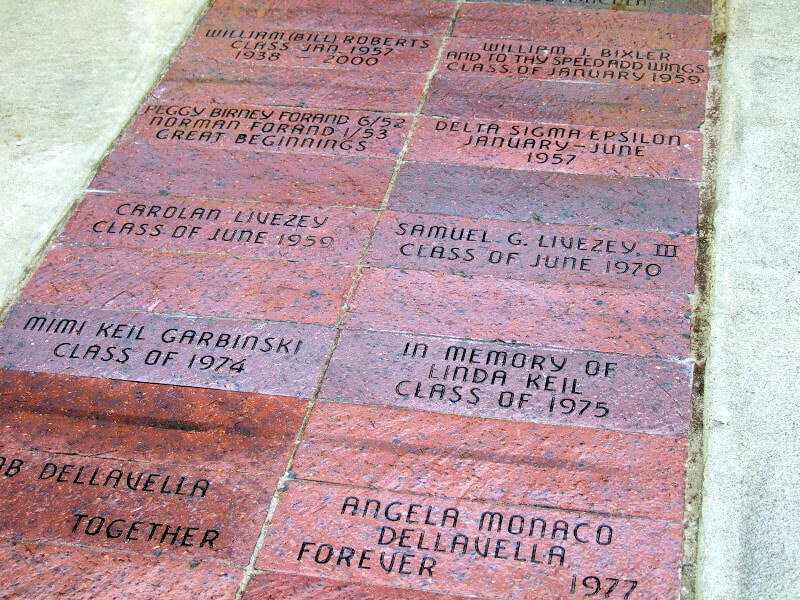 We are in the process of obtaining a new engraver for tbe pavers and we hope to resume taking paver orders again soon. To quickly find a name in the list, hit Ctrl-F to use your browser's "Find" function, or use the Search function at the bottom of the page. We apologize in advance for any typos, and we will make the necessary corrections immediately. YEAR 1952 FOOTBALL #31 BOB MUKALIAN...BY BOB MUKALIAN, SR.
CLASS OF '53, MOOSE, BOB MUKALIAN...BY BOB MUKALIAN, SR.
HARRY SILCOX, PRINCIPAL, 1976-1992...BY ALHS ALUMNI ASSOC. CHARLES H. WILLIAMS, FIRST PRINCIPAL, 1950--1970...BY ALHS ALUMNI ASSOC.